Losing someone, as we all know, can be devastating! Sometimes, it is hard for us to move on because we want to know our loved ones are ok, or we just feel like if we just had ONE more hour, day or minute with them to say "good-bye" or maybe we need to resolve something that we have guilt about. Whatever the reason maybe you CAN have peace or at least have some comfort in your heart. Before I get into ways to contact your loved one let me say this....when our loved ones leave us and go to the Other Side they DO NOT want you to grieve for them or not to live life to the fullest. At no time that I know of, has a spirit said "miss me" or "grieve for me". Think about it.... you only have one life to live and it is full of ups and downs and even though our loved ones can't put their arms around you or physically encourage you to move forward...THEY CAN and DO follow you until we met them again. You now have a personal guardian angel to watch over you and you need to take comfort in that. Ok...first you need to know you DO NOT have to be at the burial site to communicate with your loved one. I think one of the misunderstandings people have is they have to go to the cemetery to talk with their loved one. This is not true. So, don't worry if your loved one is buried a long distance from you. The "headstone" is just a marker for the physical body's resting place and to comfort the living. It is not for the dead as they are not there...they are everywhere which means you can contact them at anytime, anyplace. Please don't get me wrong here...if it brings you comfort to visit the cemetery then that is what you should do. Now, of course you can try all the "Ghost Hunter" tricks of the trade to contact a spirit. 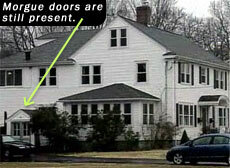 Like, EMF meters, Video and voice recorders, spirit boxes, camera's, and so on and so forth. 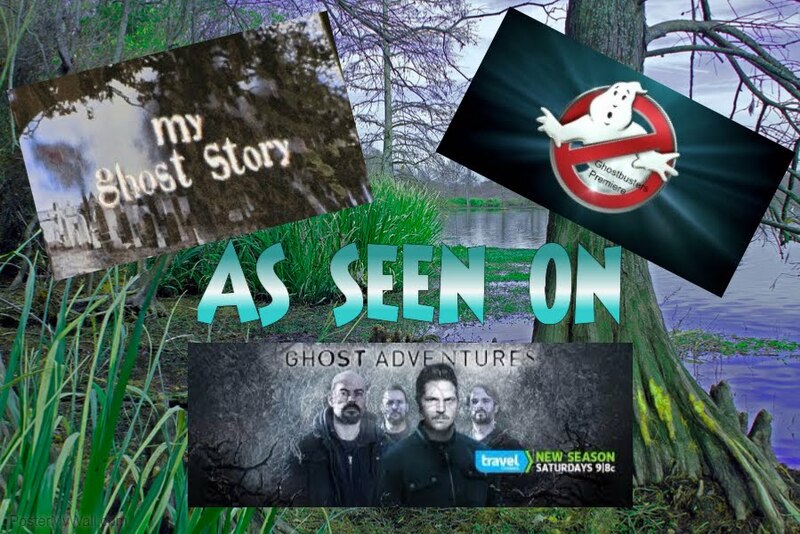 But because this is blog is for the EVERYDAY GHOST HUNTER...I want to give you a couple of suggestions to try with out all the Fancy equipment. Let me say to...don't be disappointed if you do not get a response right away...sometimes it takes days or weeks and for me....it even took years before I was TRULY able to get a sign from my Grandfather that it was time to move on and let go of the guilt that I felt for years of not getting to say "goodbye" but let me tell you this.....IT WAS WORTH THE WAIT because the sign I received was sooooo powerful that for the first time in years I WAS able to let go...and finally had that true peace in my heart that I so badly needed. Ok....Ok.... I know...I need to move on and just tell you how to get a sign. One night, sit quietly in a room that you feel comfortable in and talk to your loved one like they were sitting right in front of you. Tell them you need proof or a sign that they are ok and are still with you or watching over you. Pick a picture on the wall that you know will not be hit or moved by anyone else in the house. Make sure the picture is perfectly straight and ask your loved one to tilt it just a little bit. Check the picture in the morning and see if it has moved. If it hasn't don't be disappointed, just keep trying. Another easy way of course, is flashlight communication. Make sure you are prepared to receive answers from your loved this way. It can be very powerful to see the responses but make sure you are in a "good place" before trying this. Another way is to place a trigger object(something that is meaningful to the spirit) and put it in a room that will not be disturbed. Sprinkle baby power lightly all around the object and ask your loved one to move the object. Leave the room and shut the door. Make sure there is no a/c or heater vent that could blow any of the baby powder around. Do not go into the room until the next day. Any movement of the object should be noticeable in the baby powder. You can also do the same thing with a wind chime. On another note, watch for signs that your loved ones are connecting with you through signs..... This is THEM trying to contact YOU not the other way around. A favorite song comes on the radio out of the blue that you had been thinking about, you all of the sudden find something that has been lost for a while and it is found in the simplest place or a place you know you have already looked before, you see something that you normally wouldn't notice but for some reason all of the sudden you do and it makes you think of your loved one. And of course, your dreams. Have you ever had a dream about a loved one that felt so real that you woke up in a good mood because you felt like you had actually seen or spoken to them? You did. Again, just because you don't get a sign right away this does NOT mean that your loved one is not around you or does not want to connect you....it just means THEIR not ready or feel YOUR not ready for a message yet.